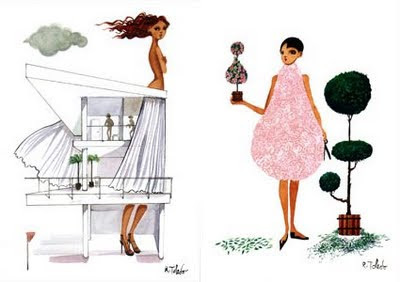 If we talk about fashion illustration, we must mention Ruben Toledo. His work is so balanced and so forward-thinking that we cannot ignore him; we simply adore him! Ruben was born in Havana, Cuba in 1961 and is at once a painter, sculptor, illustrator, fashion chronicler and critic, and surrealist. He has also created witty and incisive illustrations for the top fashion magazines and journals from around the world, among them The New Yorker, Vogue, Harper’s Bazaar, Town & Country, Paper, Visionaire, Interview and The New York Times. 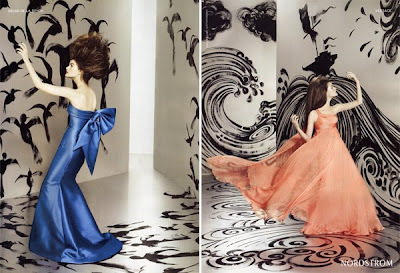 Additionally, he is the illustrator of Nordstrom’s national designer ad campaign. Toledo’s work has been on exhibit throughout the world, including the Metropolitan Museum of Art in New York City. 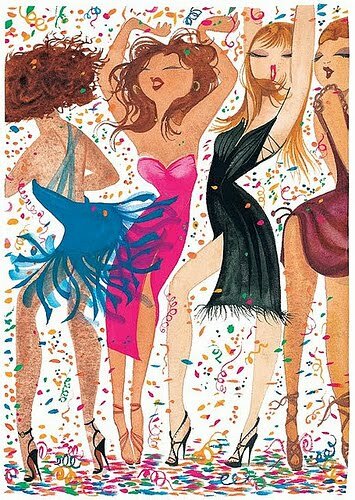 Enjoy the works, and smile, as the world is colourful and funny.